For the purpose of this release, social capital is defined as a socially constructed organizational structure, which is built with various elements of formal and informal institutions, i.e., rules and regulations. Social capital is divided into two classes: (1) cognitive, which is defined in terms of various social traits, such as trust, mutually shared values, nationalism (i.e., patriotism), tradition, history, moral norms, and beliefs; and (2) structural, which comprises formal and informal institutions, such as rules and regulations of associations and cooperatives that strive to solve their problems and to voice their concerns collectively. The essence of social capital is collective voice and action. Ethiopia is a country of multi-nations, -nationalities, and –peoples, each possessing its own territory, deeply rooted history, tradition, mutually shared values, and socioeconomic infrastructure. Combination of such societal characteristics creates a unique sociocultural and economic mosaic. In the Ethiopian case, each entity (i.e., nation, nationality, and people) aspires to enrich its tradition, language, cultural heritage, moral norms, history, and economic well-being. In an enabling democratic environment, each entity is capable of creating a viable social capital that contributes to the effort of building a united, strong, and prosperous Ethiopia on a diversified social landscape. The core idea of social capital is, therefore, harmonious human relationships that form a social network, which is necessary for social and economic well-being and for political stability. Harmonious interactions among individuals and groups of social networks enable members to commit to each other and to knit the social fabric. In short, social networks provide a virtual reality fertile ground where social capital is created, nurtured, and utilized. An effective social capital manifests itself through social cohesion, equity, freedom, empowerment, social energy, community spirit, social bonds, civic virtue, community networks, extended friendships, community life, social resources, informal and formal institutions (i.e., rules and regulations of the socioeconomic game), good neighborliness, and social “glue”. Social capital instills hope, and provides options and opportunities. This in turn empowers members to make significant contributions toward a strong and vibrant association through the guiding principles of reciprocity i.e., mutual dependence and exchanges of benefits. In short, social capital is a collective wealth created with a collective action for the spiritual and material well-being of all members. This is the motive force behind the formation of the Sociocultural and Relief Association of Tigraian Ethiopians in Alberta, Canada (henceforth the Association). Effective October 17, 2007, the Government of Alberta incorporated the Association under its Societies Act, with all the entitlements and obligations of a civic society. The Association is entitled to operate throughout Alberta and elsewhere in Canada. It is a not-for-profit, non-political, and a secular civic society. With an enhanced spirit of the New Ethiopian Millennium, the ultimate goal of the Association is to contribute to the realization of Ethiopian unity, strength, and prosperity in diversity. The Association is based on the fundamentals of cultural, social, economic, and historical facts that characterize Ethiopia as a country comprising self-governing nations and nationalities. Occupying Ethiopia’s northern peak, Tigrai is one of the nations. Like the other sisterly nations, it is a land that contrasts steadily growing modern social and economic infrastructures and an ancient civilization. 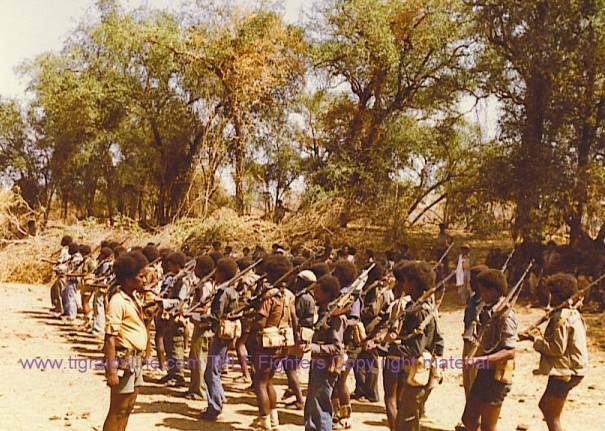 Yet, the Tigraian people, like all other Ethiopians, aspire to eradicate poverty and all social ills associated to it. The Association envisions building a united, dynamic, and self-reliant Tigraian community, which is capable of contributing to unity among all Ethiopians in Alberta and elsewhere. To that end, the Association strives to provide a variety of services. The following list is a sample of its many services: (1) showcasing the history, culture, and economic foundations of Tigrai in particular and of Ethiopia in general; (2) providing family and youth counseling; (3) providing information and advice on opportunities for employment and entrepreneurship; (4) helping a member during his/her difficult times, including family disputes, bereavement, and other personal difficulties; and (5) contributing to relief, environmental rehabilitation, and other projects that contribute to sustainable development in Tigrai and thereby in Ethiopia. In closing, it should be noted that all members of this Association are also members of the Ethiopian Community Association in Edmonton or elsewhere in Alberta. Every member is strongly advised to fulfill ones obligations in both associations so that our Ethiopianess is enhanced in accordance with our common history, mutually shared values, and aspirations that guide us to our common destiny. Ethiopia’s future is for all Ethiopians to enjoy, if we all are capable of making rational choices.